Built in 1928 at the intersection of First Street and Victoria Avenue in Brandon on a design by local architect W. H. Shillinglaw, Earl Haig School commemorated British military officer Douglas Haig (1861-1928), who founded the British Legion and Poppy Day. It closed in June 1988, its remaining students were transferred to King George School, and the building was demolished later that year. The site is now occupied by a residence for senior citizens. John Saxby “Jack” Oliver (grade 8), ? Among the other teachers of Earl Haig School was Robert J. Coates. “Students say farewell to old school,” Brandon Sun, 29 June 1988, page 10. “Twenty years ago,” Brandon Sun, 28 June 2008, page 8. 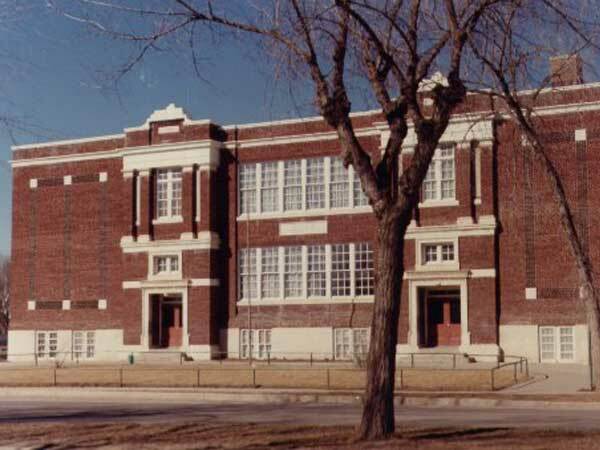 Earl Haig School, Brandon School Division. We thank Tim Dekker, Greg Sigurdson, Wilma MacMillan, and Nathan Kramer for providing additional information used here.